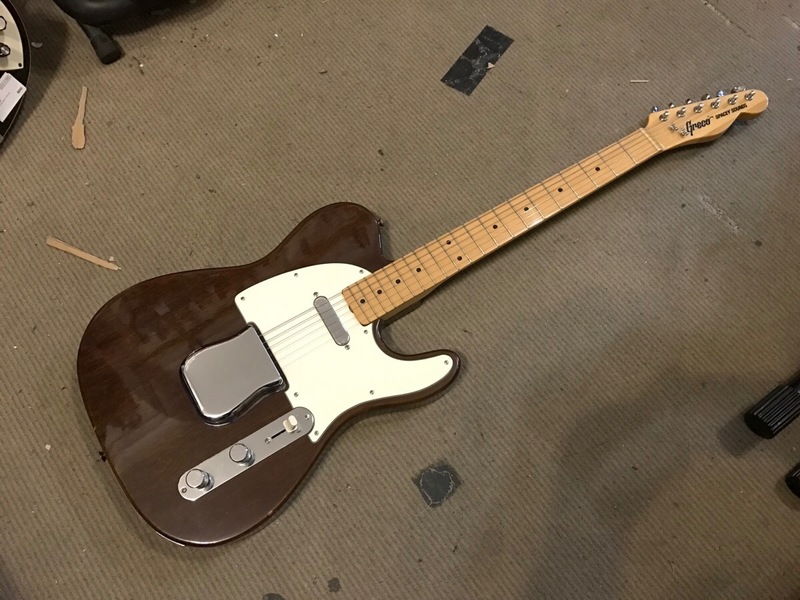 Just wondering if you could please help me identify this model Greco Telecaster? I know this means January 1975 manufacture, but I was hoping to know if it was a high end model or not? The asking price is high, but it is in pretty good condition. Looking forward to hearing from you and hopefully pulling the trigger! I think for that time period, it was a mid range model for a telecaster. I'm more familiar with the strat copies though. $400-$500 if it has a case and is very minty. Depends on where you are from though. I had a play and the magic wasnt there unfortunately. They had a 1977 tele - one piece neck and body I think. Was very tempted but someone had removed the 'spacey sounds' or whatever moniker the guitar went by so I moved on.. What a shame..